Darapsa myron - Hodges#7885 (Virginia Creeper Sphinx). 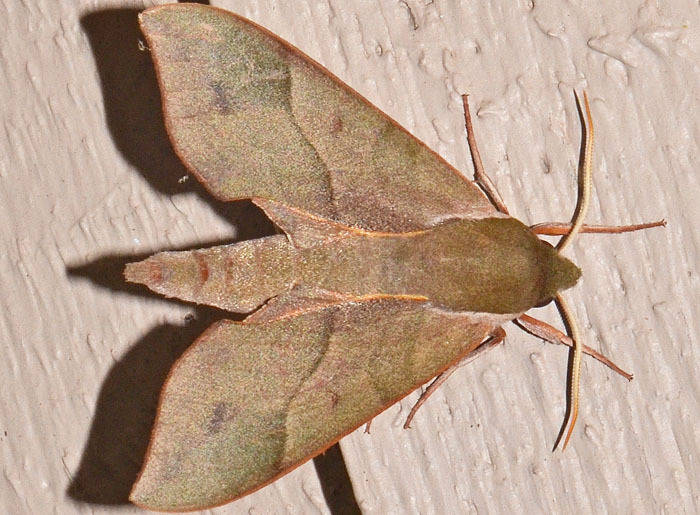 Also known as Hog Sphinx, the Virginia Creeper Sphinx is common moth with wingspan of up to 65 mm. Its larvae feed on peppervine, viburnum, grape, and virginia creeper. The color of the adult moth can vary from brown to green or gray and the army-like camouflage can be more or less pronounced.